When it comes to small and compact city cars, there is one brand that stands out from the rest: the German Smart. If you own a car from these manufacturers and are looking for the best and most economical way to replace the rear window of the Smart, for example by vandalism or an accident, then this is the place to be. Replacing the rear window of your Smart is quite expensive at a brand dealer, but fortunately it doesn't have to cost you the top price. The prices will be a lot lower by ordering an after market car window. 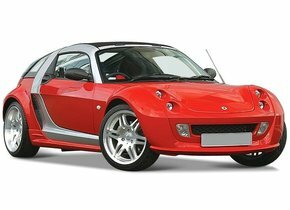 You can read more about the rear window replacement of your Smart and the special history of this car brand below. Did you know, for example, that the creation of Smart came about through the cooperation between a well-known watch brand and one of the most renowned car brands in the world? 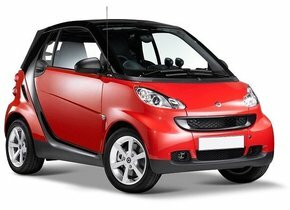 After a long history Smart was founded in Germany in 1994.
then still called SMH, had the idea in that year to develop a compact city car, which despite its small size had to become stylish and efficient. He thought there was no good alternative in the current market and thought he could fill it by developing a new car. He also wanted this in order to be able to promote the various watch brands, such as Swatch, Omega, Longines and Tissot that he was in charge of. The idea of the compact car was made concrete in the Swatchmobile concept. Hayek founded a new company for this purpose and started designing and the first phases of development. Partly because Hayek did not want to compete with the existing car brands and could not and did not want to invest enough in a distribution network, he sought cooperation with a renowned car brand. After a long search, a partnership was entered into with Volkswagen in 1991. The whole situation changed again when Volkswagen got a new CEO in 1993 and started developing the VW Lupo 3L itself, which was to fall into roughly the same segment. The contract was terminated and Hayek approached BMW, Fiat and Renault, among others, before finding a new partner in Daimler-Benz, now Daimler AG. In 1994, this meant the founding of the Micro Compact Car company. The Swatch Group acquired a 49% share and the remaining 51% was owned by Daimler-Benz. 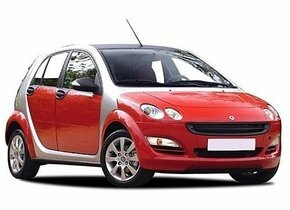 The first Smart cars rolled off the production line in 1998. This was the first version of the Smart City-Coupé, which can still be seen as the basis of several Smart models. Despite the rapid expansion of Smart and the many investments that its parent company Daimler stopped making in the car brand, Smart did not come out of the red figures. Between 2003 and 2006, the company also made a loss of no less than four billion euros. As a result, the original company Smart GmbH was closed down and Daimler took over the entire brand. Today Smart is profitable and produces three models with the Smart Fortwo Coupé and Convertible and the Smart Fourfour hatchback. The car is sold in 46 countries and can be called a reasonable success in Asia, among others. Replacing the rear window of your Smart is quickly necessary when it is broken. This is because the rear windows of cars, unlike the windscreens, cannot crack. The windscreens are made of laminated glass that stays together when there is a hard impact. In the best cases this results in only an asterisk or small crack. In that case the car window damage can still be repaired. However, the rear window replacement of the Smart is absolutely necessary when it is damaged. This is because the rear and side windows are made of tempered glass. This glass is quickly heated and cooled down and is therefore under high tension. For example, if vandalism or an accident causes a hard impact on the rear window, it will burst into thousands of pieces. This is logically no longer repairable and therefore the Smart rear window replacement is necessary if you want to drive safely through it. At a brand dealer, the price for a rear window replacement of the Smart will increase considerably. This is because only brand dealers are allowed to sell car windows with a brand logo. This rule gives brand dealers a monopoly position and actually an unfair advantage. Because of the lack of competition, they ask more than necessary. Fortunately, it is much cheaper to replace the rear window of your Smart with an after market car window. This is because these car windows have no brand logo and can therefore also be sold by other experts. The quality is identical and the car windows are completely new. Because competition is possible, the price is much more favourable for you as a car owner. Replace the Smart rear window yourself or leave it to the experts. It is handy that you can use us to replace the Smart rear window yourself. Simply choose the rear window you need and we will make sure you have the product within two working days. If you have the knowledge and skills to replace the rear window yourself, this is a very advantageous option. If you prefer to leave this to the experts, the rear window can also be replaced cheaply. Our certified partners are ready to carry out the repair on location. By calling in these experts, you can be sure that you can get back on the road safely in no time with your compact Smart. Order a competitively priced rear window for your car today!